It seems that it is that time of the year again, where I am online, researching the newest and best swim and sun gear for our girls since theirs have began to stretch, fade, and show their use and age. Our girls spend a lot of time in the sun, even now that we are off the boat. Being in the DR means a lot of sun, a lot of sweat, and a lot of fun. But while they are doing all of that I also want to make sure they are not burning, getting too hot, or having to be covered from head to toe in ugly garments and sunscreens. After doing all my research I have come full circle to some brands we have already been using, but narrowed it down to a few select ones that are just purely awesome. Here are the four companies I that I thought I would highlight, to save you the time of clicking through websites. These are the ones we love. 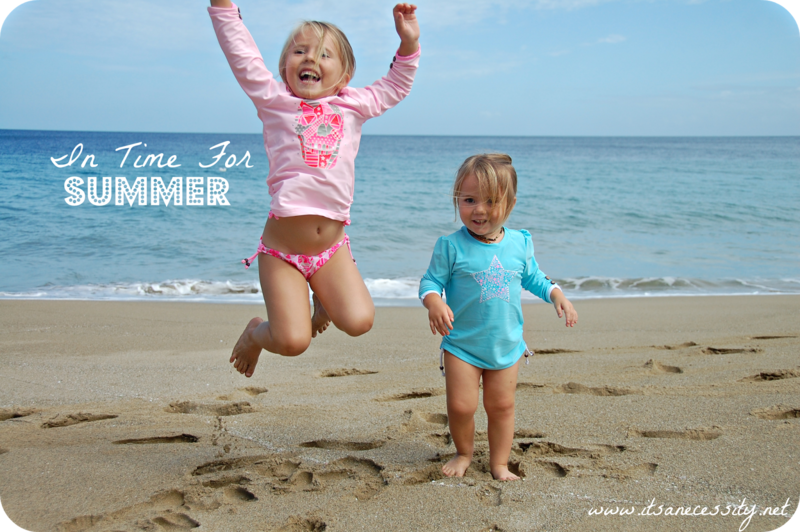 SunUva makes sun protective beach and swimwear for kids. My favorite part about their brand is that they protect our girls’ baby skin, but and help them look so cute in doing it. They have a huge array of different styles, for both boys and girls, that can be mix and matched, creating stylish options for safe sun practices. This company started with two mothers understanding that skin cancer is more and more prevalent, and so it is extremely important to guard the little ones sensitive skin to the sun elements. But they also understood that parents would be more prone to do so if their kids could also look good while being safe, rather than looking like they were just covered in the unflattering options that were on the market. So they took it upon themselves to create a better option, and have succeeded. SunUva has been recognized in the press and also by the “rich and famous”. Being sun safe never looked so good. SnapperRock was originally launched and geared towards the junior sailing market. They understood that on the water the sun is doubly strong, and that our little ones need that extra protection. It wasn’t long that they brand crossed over from the sailing community to the general market. Their sun-protective clothing is made to have the functionality that parents are looking for, ie. sun protective, lightweight, dries fast, and is breathable, without compromising on style. They want kids to have fun in the sun, while letting parents rest assured that their littles ones are being protected from the sun. 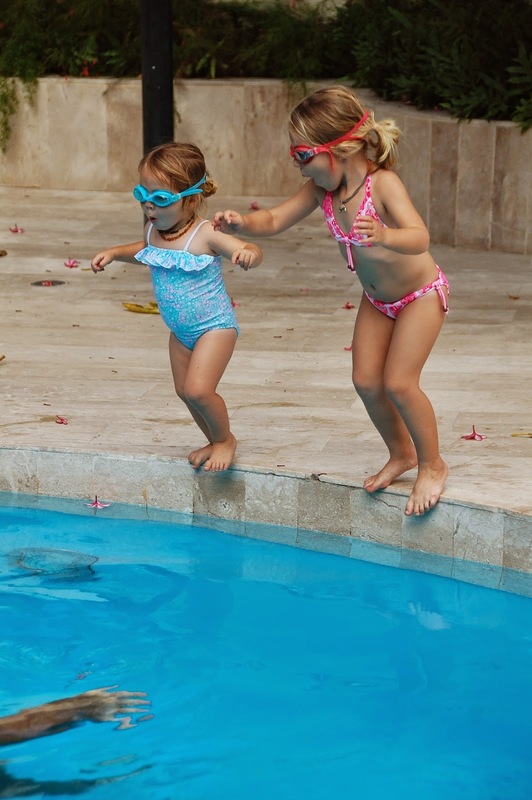 Our girls love their swimsuits from SnapperRock, they are fun, comfy, age appropriate, colorful, and cute. We love SnapperRock because they keep our babies safe from burning, and they look so absolutely adorable wearing them. When it comes to sunscreens we have tried many different brands and weaned it down to 2 that we love and trust. They are two completely different styles of sunscreen, that we use in different scenarios. For those days where we want to be assured that our sunscreen is not going anywhere we use SWOX. This company recognized that the sun on the water and the sun on land are two very different beasts. So they created two lines. One meant for ocean fun, and the other meant of snow fun. Because the sun reflecting off of water, be it fluid or frozen, can be harsh. We use their “surf” line, of course! They made this line with the knowledge that when you are playing in the ocean you don’t want your sunscreen running into your eyes and burning, you don’t want it to wash away with the waves, and you don’t want to feel the harsh effects of the rays on the skin you are stuck in. When you put on their face sunscreen you can feel that that stuff is not going anywhere, and you feel protected from the sun. It doesn’t leave you feeling greasy or oily, and it absorbs wonderfully into the skin, leaving no white traces of its super sun protective abilities. They are the superman of sunscreens. They are also about to release an SPF 30 body lotion sunscreen that we are eager to try out. For the rest of our bodies, and often our faces, we Trust The Bum. SunBum that is. This small company has create a wide array of sunscreens, in different SPFs as well as lotions, spray ons, and cool downs. They have all that you need to enjoy your fun in the sun and just want you to protect your lazy @*%. 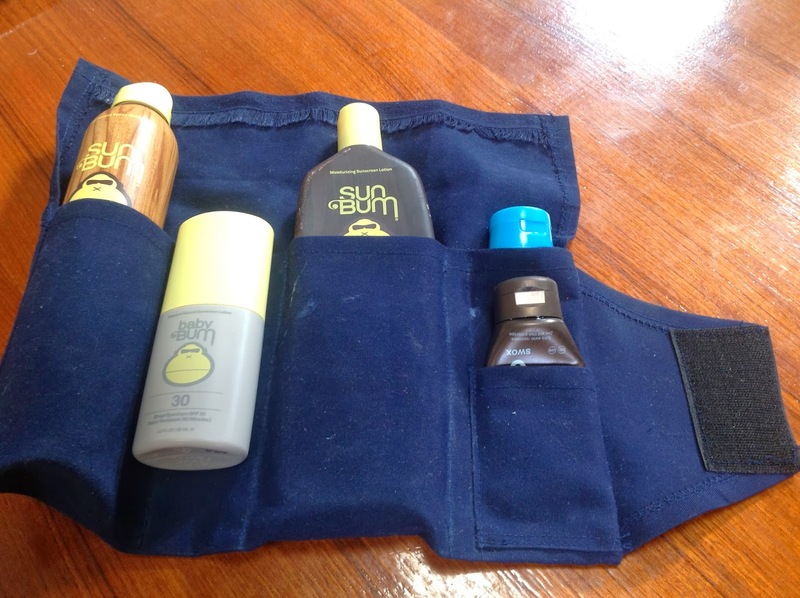 One of my favorite parts about this brand is not only do they have Eben and I covered, but they have also branched out and created their BabyBum, a natural sunscreen to protect the girls. And because it smells like cake, they love to wear it, and I don’t have to worry about Arias having another allergic reaction to sunscreen because she does awesome with theirs. Why two sunscreen types? Is SWOX harder to apply, being "superman"? SWOX definitely goes on thicker, being that it is zinc based. But it rubs in completely so you aren't left with any white residue on your face. If you have lots of facial hair, like Eben, its a bit tricker to rub in but eventually it will. We use this one on our faces all of the time, and use SunBum on our bodies. But we also use this one when we are doing water sports, or know we will be sweating a lot because you know it will stick.